Holy Trinity has a long history in Launceston. By 1838, the original Anglican Church in Launceston (St John's) was out of space and plans were made for a new parish. The foundation stone of the first Holy Trinity church was laid in September 1841 and opened for worship a year later in September 1842. By the late 19th century, structural issues had made the building unsafe and its replacement was necessary. The present church was opened in 1902. Known for the dignified formality of its worship services, Holy Trinity is often described as 'Anglo-Catholic', though terms like this mean different things to different people. 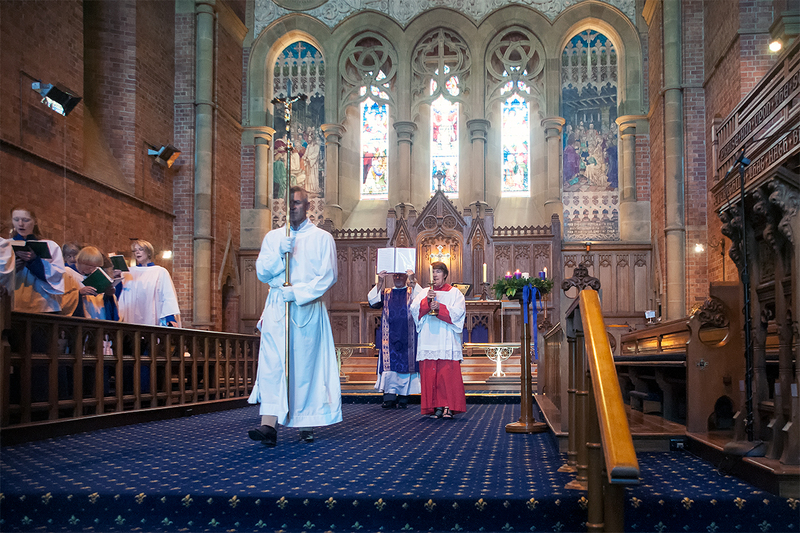 Perhaps better to say that our services retain the set Anglican liturgy, and our main ones feature a choir, processions, liturgically coloured vestments and, on occasions, incense. As with all Anglican churches, there is an emphasis on hearing God's word through readings from the Bible, and an attempt to grapple with its meaning and significance in Bible focused sermons. 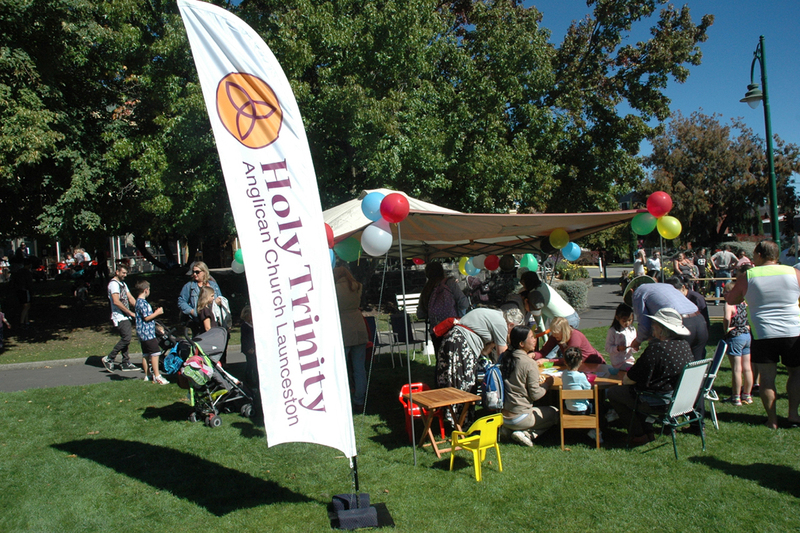 Holy Trinity is a city church, seeking to be a presence in the CBD and drawing its congregation from well beyond its formal parish boundary. We aim to be an evolving expression of formal Anglican worship with a compassionate pastoral care for all. Our parish also includes three smaller church centres: St Matthias', Windermere, St James’, Franklin Village, and St Andrew’s, Evandale. Find us at the corner of Cameron and George Streets, Launceston, midway between the Post Office and City Park, and opposite the Grand Chancellor Hotel. Parking adjacent to the church is available on Sundays (enter via George St). 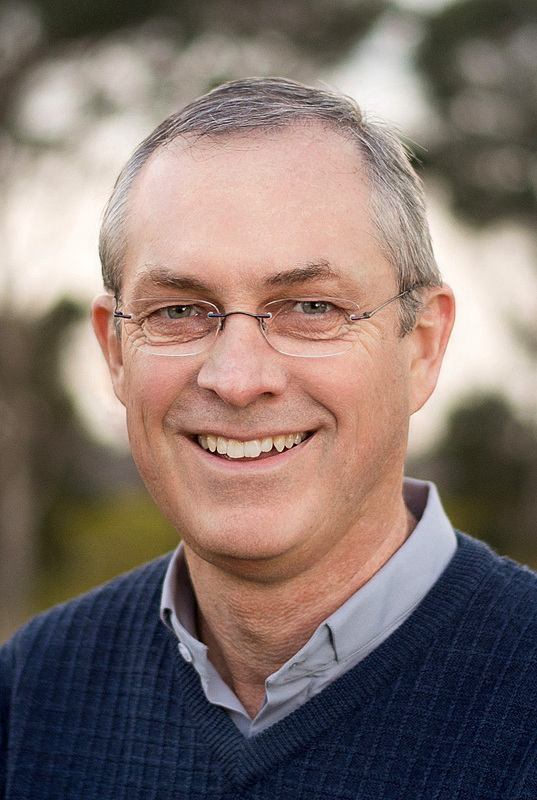 Archdeacon Dane Courtney grew up in Sydney, attending Trinity Grammar School and then the University of Sydney, where he trained as a teacher (Mathematics). He taught briefly, and then worked for the Crusader Union before studying for ordained ministry. He has served in the Anglican Churches at St Ives, South Carlton, Quakers Hill, Strathfield, and since May 2017, Holy Trinity Launceston. Dane and his wife, Bronwen, have three adult children and one grandson. His other interests include sailboards, computers, music, Rugby and golf. In addition to his role as Rector of Holy Trinity, Dane is Archdeacon for the Northern Ministry District in the Diocese of Tasmania, as well as being Priest in Charge of Evandale, and a member of the Diocesan Council. He is a member of the General Synod Liturgy Commission and was a member of the General Synod 2001-2017. He is a Board member of Launceston Church Grammar School, having previously served on the Council of Trinity Grammar School for 23 years, and was chairman of the Council of Rouse Hill Anglican College from its commencement in 2002 until the end of 2007. He is a Board member of Broughton Publishing, which is owned by the Anglican Church of Australia and publishes A Prayer Book for Australia. Roger has been ministering in Anglican Parishes in and around Launceston since moving from St Helens in 2000. From March 2019 he joined the Holy Trinity team for 3 days a week. Serving as locum Chaplain to the Launceston General Hospital occupies the other half of his working week. Roger, with his wife Maree’s support, has been in Parish leadership for more than three decades. That journey began in their late twenties while living in PNG. It was there that they both encountered Jesus Christ as Saviour and Lord which soon led to Roger offering himself for ordained ministry. From there to theological college in NSW, curacies in Hobart and Ulverstone, then ministry in New Norfolk, St Helens, Launceston as well as some short periods as ‘Enabler’ to several regional parishes. 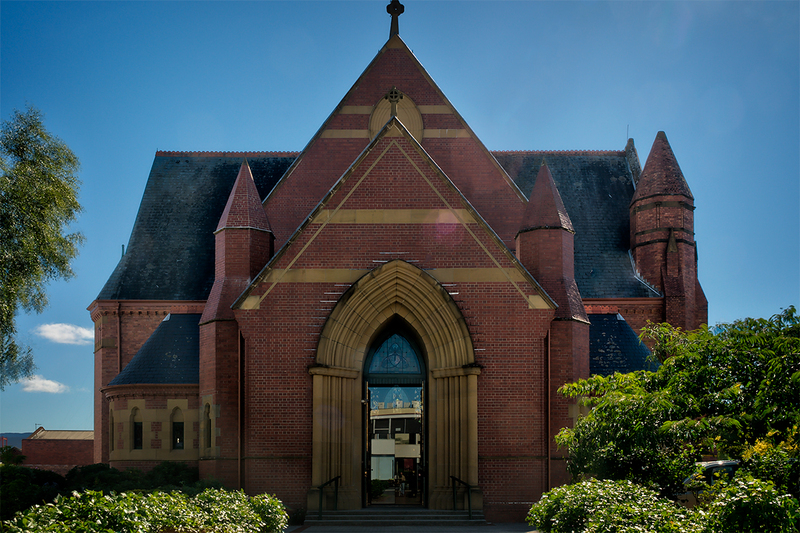 He has served as Area Dean in three different Deaneries, on the Ministry Council, Diocesan Council and still represents the Tasmanian Council of Churches as a Member of the Tasmanian Heritage Council. Roger and Maree were both born and raised in Northern Tasmania. Having met and married while still teenagers (they were married at St Matthias', Windermere) they now find great delight and blessing in their four adult children and eleven grandchildren – enjoying family continues to be a big part of their lives. Other interests include, classic cars, reading and more recently they have their L plates on learning to garden. The Rev’d Ken Box was born and grew up in Launceston, attending Scotch College before commencing an apprenticeship as an Automotive Electrician and winning the Apprentice of the Year award in 1964. Ken is married to Lyn with 2 children, 1 surviving grandchild and 4 great grandchildren. He worked as an Auto Electrician until he experienced God’s call to ministry in 1974. He travelled with his family to St John’s College Morpeth to study for the ordained ministry. On returning to Tasmania he served in the parishes of Burnie, St James New Town and George Town before accepting a chaplaincy position in the Royal Australian Air Force. For the next 20 years home was where the air force sent them. Ken completed his time in the RAAF as Director of Chaplaincy in Training Command. During his RAAF career he completed a Diploma of Education and Master of Ministry degree together with qualifications in relationship counselling and psychology. In semi-retirement he has served in several locum roles in Tasmanian parishes before accepting his current position as Associate Priest at Holy Trinity. Ken’s hobbies include working around his farm, sailing and a vintage MG sports car. Lorraine Andrews grew up in Launceston and first came to Holy Trinity Church in 1973 when she joined the choir. Her occupation has always been in office work. After a couple of years travelling and working overseas she married Norman. They have four adult children. When the children were young Lorraine was involved with the Sunday School and children's activities. Since that time Lorraine has been involved in parish life as the office secretary, parish council secretary, rector's warden, parish council member, various committees, Mothers' Union, Friday Cafe, sacristan, altar server, thurifer and choir. 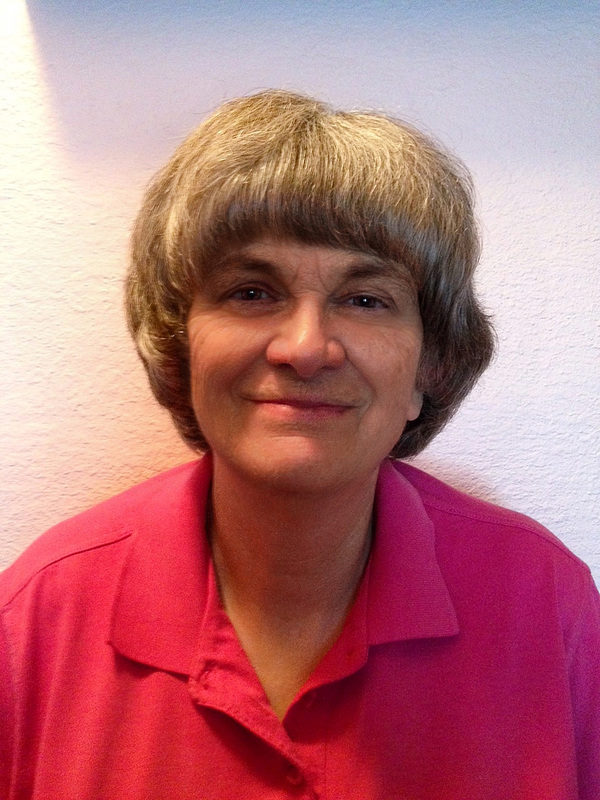 Her other interests include gardening, cats, music, family history, tai chi and learning new skills. 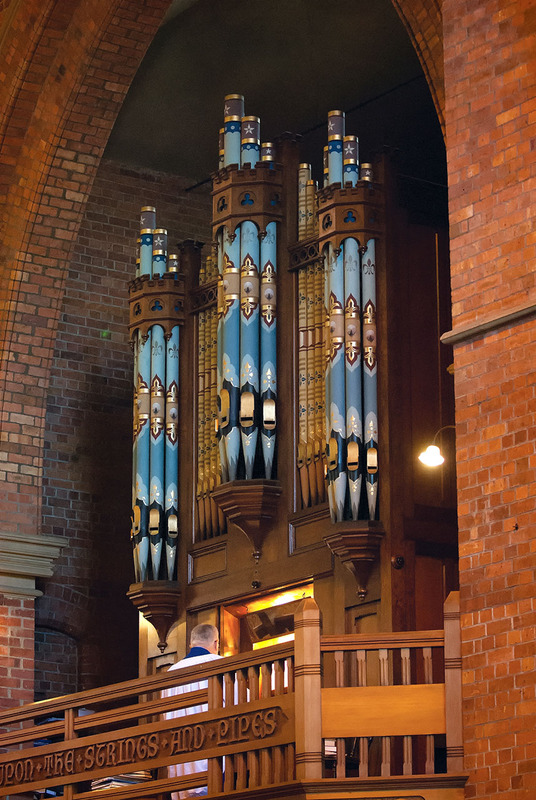 Peter’s abiding interest in the organ hails from his early years in rural Western Victoria, where he received his piano and early organ tuition from whence commenced his path as a church organist. Further organ study ensued with Sergio di Pieri in Melbourne. Peter’s career in survey and civil design has progressed through consulting firms, local government and the mining industry. In more recent years he has returned to the local government sphere where his specialty is in spatial information systems. Peter has directed the bulk of his musical activities to being a church musician and this duty has pretty much followed him wherever he has gone. He can truly say he has played ‘all sorts and conditions’ of organs over his musical career as a church organist. The past 11 years have occupied his time as Organist and Director of Music at Holy Trinity, following a 14-year appointment at Pilgrim Uniting Church in Launceston. He admits to being drawn to Holy Trinity by the formal liturgical format of worship which harks back to his formative years in the Lutheran Church. He seeks to continue and enhance this style by selecting appropriate musical settings or composing pieces to suit particular needs – improvising service music and hymn settings are a special interest. Peter plays occasional organ recitals in the Launceston region. He can also be found every now and then playing a session as a jazz pianist, in which improvisation also takes a key part. Peter and his wife have two adult daughters. The first attempt to establish a British presence in northern Tasmania was at York Town on the west side of the Tamar River, but the location proved inadequate and Lieutenant Governor William Paterson moved the settlement to the present site of Launceston from the end of 1805. Early maps show a barracks located at the corner of George and Cameron Streets, now the site of Holy Trinity Church. The first parish church in the town, St John's, had reached capacity by 1838 and it was decided that a new church should be built. Plans were drawn up by the former convict architect, James Blackburn. The Governor, Sir John Franklin, approved an application for the land in August 1839 and the church opened for worship on 27 September 1842. The first Rector (inducted in May 1844) was the Rev'd William Gibbon, the first of several short incumbencies before the 46 year ministry of the Rev'd Francis Hales. It was towards the end of Hales' time as Rector that the original church developed structural issues and work commenced on the current building designed by Alexander North. Opened in 1902, the present church was intended to be only stage one, consisting of the chancel, transepts, chapel and vestries. A 'temporary' corrugated iron wall (which stayed in place for 80 years!) covered the space where the nave and spire were to join, but these were never constructed. Financial constraints, two World Wars and a Depression all no doubt contributed to the delay, and by the 1980s it was clear that the building as planned would never be completed. The present narthex, office, kitchen and toilets have provided a very functional smaller scale alternative. 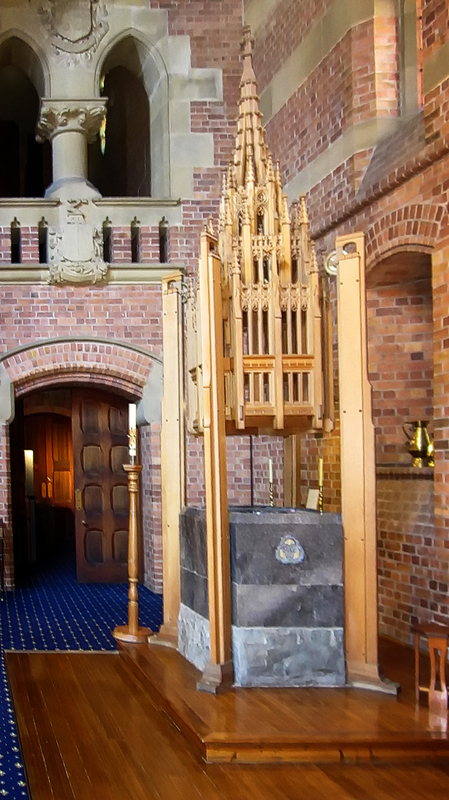 Extensive information about Holy Trinity's pipe organ can be found here. 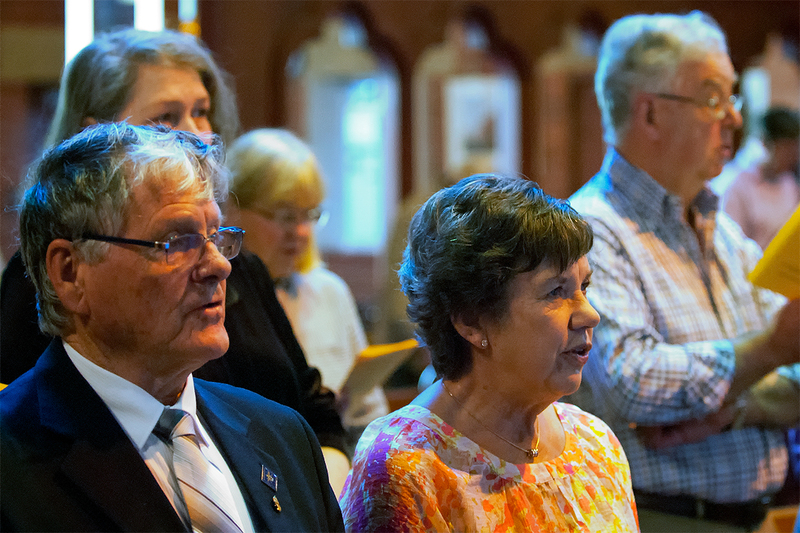 In addition to the traditional staples of Sunday services, Baptisms, Weddings and Funerals, the parish has featured many groups and activities through its history of more than 175 years. These have included choirs, GFS (for girls), CEBS (for boys), women's groups, men's groups, Sunday Schools and servers guilds - each an attempt to meet the needs of the community at the particular time. At various times the parish has also included the churches of St Barnabas' Alanvale, St George's Invermay, All Saints Ravenswood, Holy Family Inveresk, St Peter's St Leonards and All Souls Patersonia. Some of these continued independently and others have been closed and sold over the years. 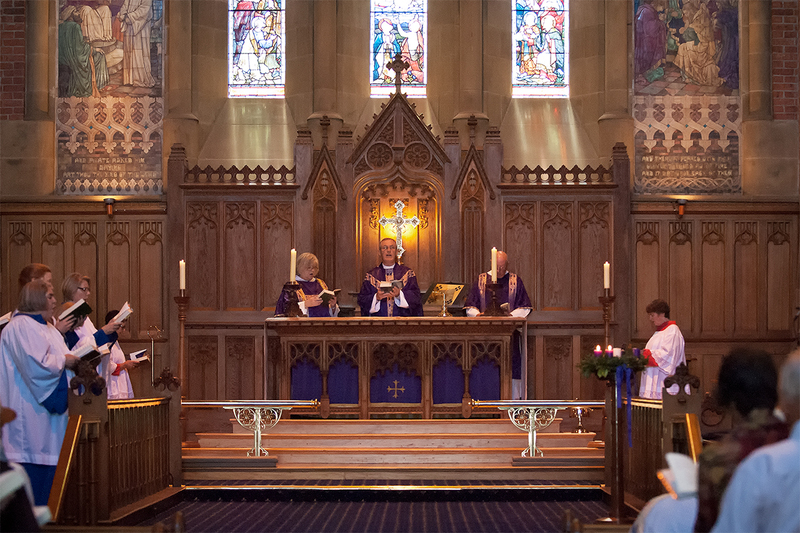 The parish currently incorporates St Matthias', Windermere and St James’, Franklin Village, in each of which services are held twice a month and on special occasions. As of February 2019, we are partnering with St Andrew's, Evandale to assist in running services there at 5.00pm each Sunday. As is true of every church, Holy Trinity has had its share of both prosperous and lean times. In more recent years, some of the housing in the parish has given way to commercial premises. People have therefore travelled in from the wider area and we have seen fewer families among the regular attenders. The changing nature of the local community has brought new challenges which stretch our resources. But the essential task of proclaiming Christ is unchanged and remains our priority. Holy Trinity is a red brick and sandstone church and is a fine example of the Federation Gothic Style. The 'Gothic' details include gargoyles, turrets, gables, buttresses and a fleche. 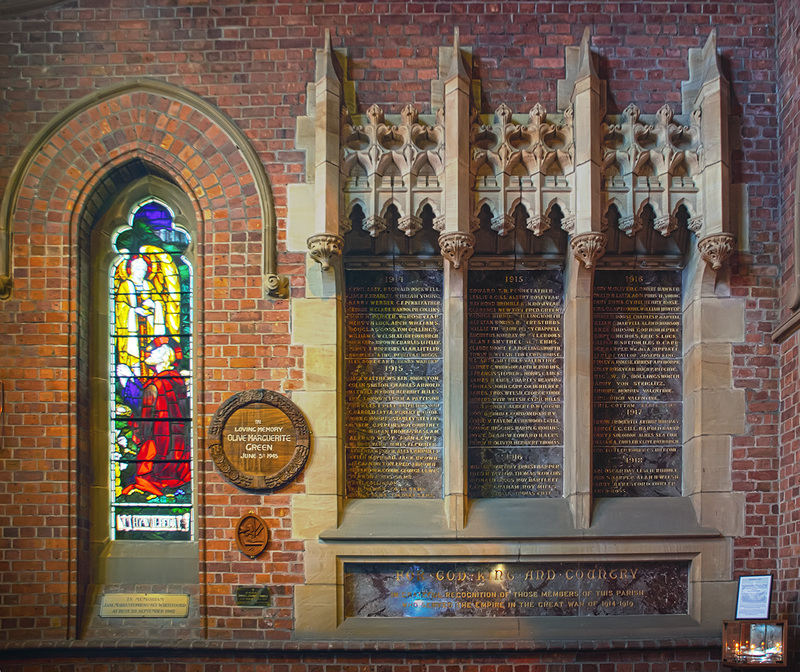 The stained glass windows include three memorial windows imported from England for the first Holy Trinity Church on this site, built in 1842. Some years ago, an urgent need for conservation / restoration work to be carried out on the stained glass and the the carved sandstone led to the establishment of a Conservation Fund. Work of the kind necessary can only be carried out by expert craftsmen and is, necessarily, quite an expensive undertaking. With the assistance of the National Trust of Australia, we are able to accept tax-deductible donations towards all such restoration work, and new projects are always on the horizon. Please contact us for more information. Our 8.30am Sunday service is a simple format Eucharist (or Holy Communion) following the Second Order in A Prayer Book for Australia 1995. It is held in the side chapel at Holy Trinity. There is a clear emphasis on hearing God's word in the Bible readings, and grappling with its meaning and significance in Bible focused sermons. Joining in Holy Communion each Sunday is a regular reminder that we gather in the name of Jesus Christ, who gave his life for our sins. When possible, we include a hymn in the service, but otherwise all parts of this service are said rather than sung. We share in Morning Tea at the conclusion of the service. Our main service of the week is a sung Eucharist (or Holy Communion) held each Sunday at 10.30am. 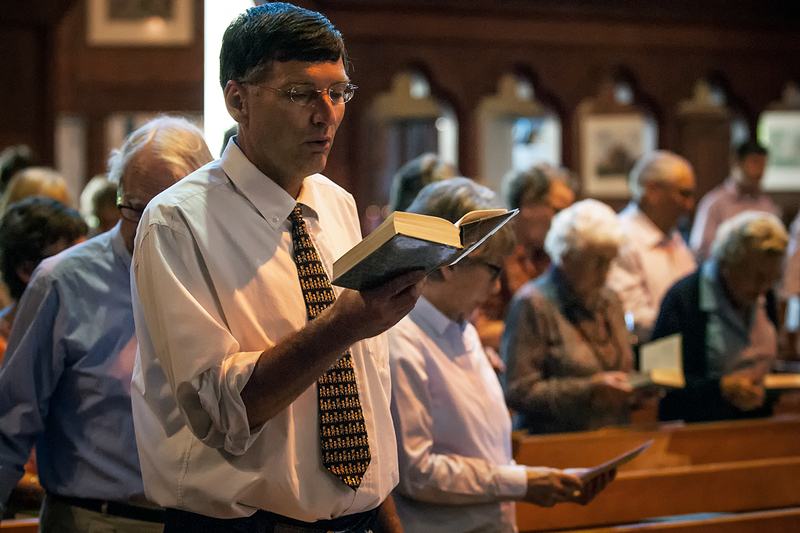 Apart from January, our small but dedicated choir is present to lead the music and the service — using the second form from A Prayer Book for Australia 1995 — is rather formal, and includes the use of incense on some Sundays. A key part of our time together is hearing God's word in the Bible readings, and grappling with its meaning and significance in Bible focused sermons. Holy Communion is a regular reminder that Christ gave his life for our sins. An Evening Service (5.30pm) is held on the first Sunday of the month only (except January). It is a service of Choral Evensong (that is, using the service of Evening Prayer from the 1662 Book of Common Prayer). Regular evening services are at St Andrew's, Evandale at 5.00pm each Sunday (from February 2019). Weekday services are held on Wednesdays at 10.30am and Thursdays at 12.15pm (except during January). The Wednesday service is Holy Communion in a variety of formats, while the Thursday service is a brief Eucharist (Holy Communion) from A Prayer Book for Australia 1995. Each of these services lasts for about half an hour. The Wednesday service is followed by Morning Tea. A 'carols and lessons' service is usually held in the preceding weeks, depending on where in the week Christmas falls. Baptism is a public expression of putting your faith in Jesus Christ (that is, a public expression of becoming a Christian). The baptism of a child can be a very significant social event for families, and parents request baptism because they are eager to do the very best for their children. We ask parents to take time to properly understand what baptism means, so that the words expressed in the service are meant from the heart. Holy Trinity provides a beautiful setting for your wedding and we welcome inquiries. 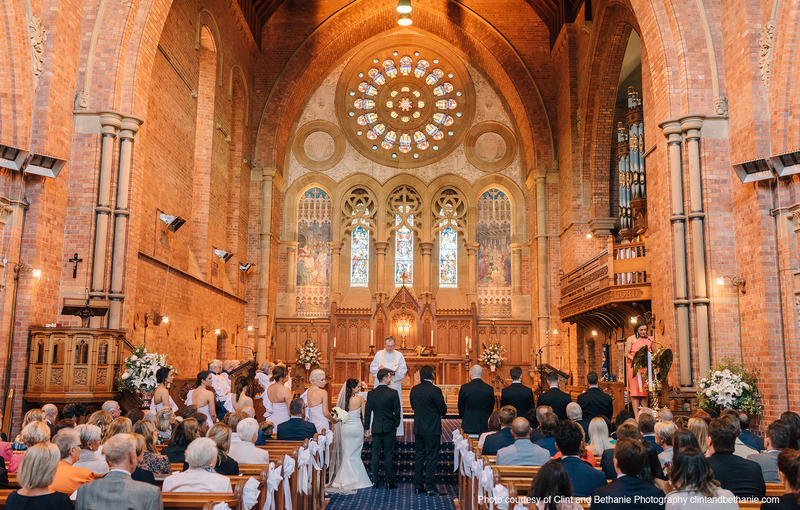 In order to satisfy the requirements of Australian law and Anglican Church policy, our Marriage Services always follow one of the authorised Anglican Prayer Book forms and are conducted by one of our staff. It may be possible for other Ministers to assist in the service. We will be pleased to meet with you and discuss what is involved. Marriage services can be conducted at any mutually convenient time, but our regular activities on Sundays mean that we are unable to accept bookings for Sunday weddings. Christian funeral services provide an opportunity to express grief and say goodbye. More importantly, they point us to the hope we have in Jesus Christ, who died for our sins and was raised again to life. 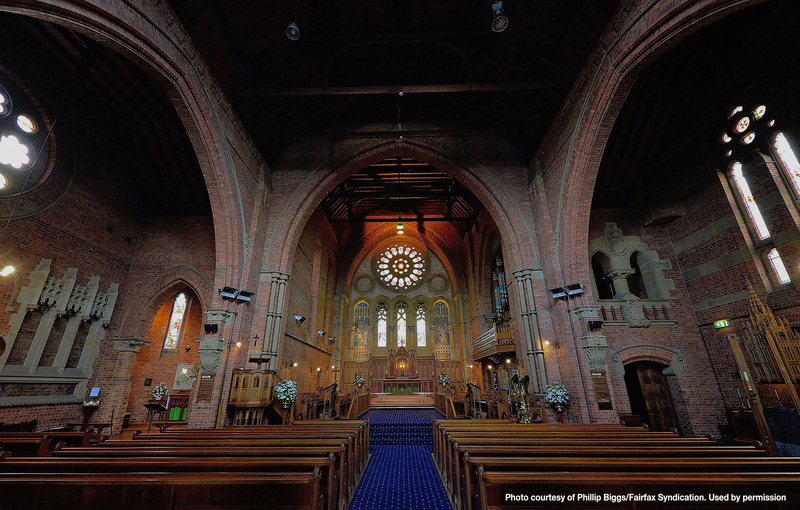 Whether a service is planned for the church, crematorium chapel, or other location, we welcome enquiries from those who live in our parish or who have had significant connections with Holy Trinity in the past. Please contact us as early as possible to ascertain the availability of the church and ministers. Children & Youth Young people of all ages are welcome at our services and activities and we aim to offer suitable activities. A program for younger children is offered at our Sunday 10.30am service. Bible Study Small groups can be a wonderful part of church life. They complement Sunday services by offering opportunity for discussion, friendship, mutual support and prayer. A key aspect of most groups is time spent exploring the Bible together. Meeting times and locations vary. Contact us for more information. Share & Care A friendship morning that is open to all. Mondays 10am-12noon (except public holidays). Morning Tea is provided along with a chance to share, chat and play board games. There is a short ‘Think spot’ with a Christian theme for those who wish to listen and discuss this or any other issue. All are welcome. Prayer Meeting A small group meets for prayer each week between our morning services. We start at 10am and keep strictly to 15 minutes. You are most welcome to join us in praying for our community and church. Choir The choir sings at the 10:30am Sunday Eucharist except during January. Practices are held every Sunday morning before the service (starting at 9.45am), as well as on two Saturdays each month at 2.30pm. Weddings, Christmas, Easter and special occasions are also opportunities for the choir to help enrich our worship experience. Singing is an important expression of our liturgy at Holy Trinity and we welcome new members who would like to join the choir. Friday Café Once a month (usually the third Friday of each month) a two course lunch is provided in the church from 12noon. All are welcome and proceeds go to supporting mission.